Here are a couple of tricks I would like to share with you to help you become savvy Costco shopper. 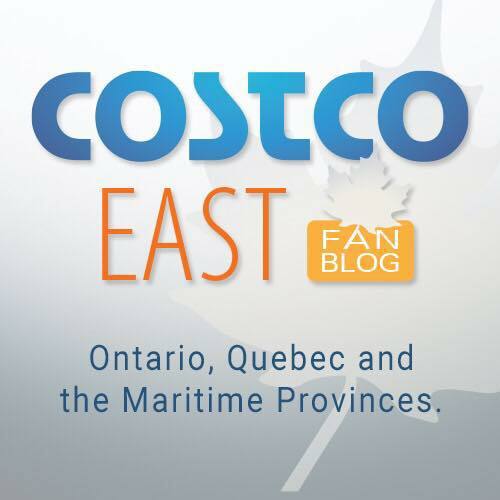 The first and easiest way to start saving money at Costco is to follow this blog (www.cocowest.ca) and to watch when your favorite items go on sale. Then, make sure to buy enough to last you until the next sale! You will soon find that many household staples go on sale regularly (every couple months to once a year) without being mentioned on the Costco handout flyer. Costco sales are clearly marked on the price display with the pre and post discount price. Have you ever tried to use a manufacturer’s coupon at Costco? Let me save you the embarrassment. Costco does not accept manufacturer’s coupons. In fact, for most in-house Costco sale items, sale prices are automatically adjusted at the till – no coupon required. The only exception is the exclusive coupon book that are mailed to Executive Members. You will need to bring in the physical coupon to get these deals. If you see that the price tag for your favorite item now has an asterisk in the corner – it is time to stock up. This item will not be reordered. It may be back next year if it is a seasonal item, but generally, once Costco has sold out of all their stock, you will not see the product again soon. If an item is marked discontinued and you see it re-appear every week, there is a good chance this item will go on clearance (see below) to make room for new stock. Hold on to your receipt and wait for the price to drop! An expert Costco shopper is able to recognize when items are going on clearance. You may have noticed that the aisles near the back of a Costco constantly rotate through different seasonal items. Right now they are starting to bring in Christmas items including toys, trees, lights, chocolates and other confections. Throughout the year you will also see large displays of gardening supplies, furniture, bikes, ski/snowboard equipment etc. When the season for these products comes to an end, these prices are marked down (sometimes by hundred of dollars) to make room for the new line of products. Some of the best deals I have ever purchased are items that have been on clearance! On more than one occasion, I have purchased an item from Costco and the very next week on my return, the item was on sale or on clearance. The difference has been from a $2.00 sale on paper towels or $200.00 for a dining room set on clearance. Did you know that you have 30 days to price match your Costco purchase? No, Costco will not price match other stores, but it will price match it’s own sale prices or clearance prices. The item will have to be in stock AND you will need to bring in your original receipt to get the credit. So, if you see that that the dining room set that you purchased last week is now on clearance for $200.00 off the original price, go find your receipt and get it to Costco as soon as you can! You don’t need to bring in the product – just the receipt. If those tables sell out before you get back you will be out of luck. There is a sneaky way to get past the 30 day price matching policy. If it has been longer than 30 days, and no longer qualify for a price match, bring the original receipt to Costco (the one with which you purchased the product at full price). Go purchase the item again (this time at the sale price or clearance price), and then immediately return the same item using the full price receipt. Sneaky, but it works! One of the reasons I love to shop at Costco is that they stand by their products. Costco has the best return policy of any store. It has a 2 year return policy on all items excluding computers and electronics. A couple of years ago I was moving across provinces and I had stocked up quite a bit on canned goods and other household items. Not wanting to move a whole bunch of heavy cans, I brought back all the unopened items I could find. This was before I stored all my Costco receipts in an envelope so I didn’t even have the receipts. The Costco employee at the returns desk accepted all my items, and was even able to look up the price I paid for each item so I could be properly refunded. The employee even asked if any of the items were opened! I could have even returned some opened items (even perishable items). I was flabbergasted. Hopefully you have learned some of the ways I use to save money at Costco! Happy Shopping! Most Costco’s have “smartened-up” on their price adjustment policy. For those that remember, back in the day, you had to return the item and then buy it again at the reduced price. Even if the item is over 30 days, they typically will price adjust it for you. If you don’t have your receipt, they will look it up in their system. If you are a Costco Cash Card holder, you’re probably out of luck. 2-year return policy? When did they implement a time limit?